In my previous post, "Resizable UI’s in LabVIEW", I went through the basics of creating a flexible and professional user interface that scales to any screen resolution. If you’re new to creating resizable user interfaces in LabVIEW, I recommend you start with that post. Equipped with an understanding of splitter bars, panes, and fitting controls/indicators it’s easy to imagine how we can create nice looking UIs. 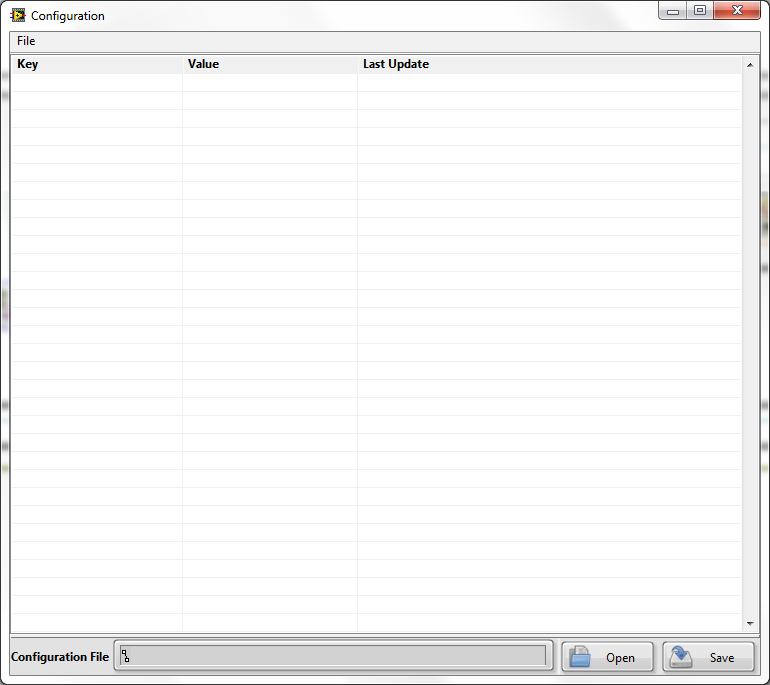 So off I go, creating a UI for a new configuration utility. 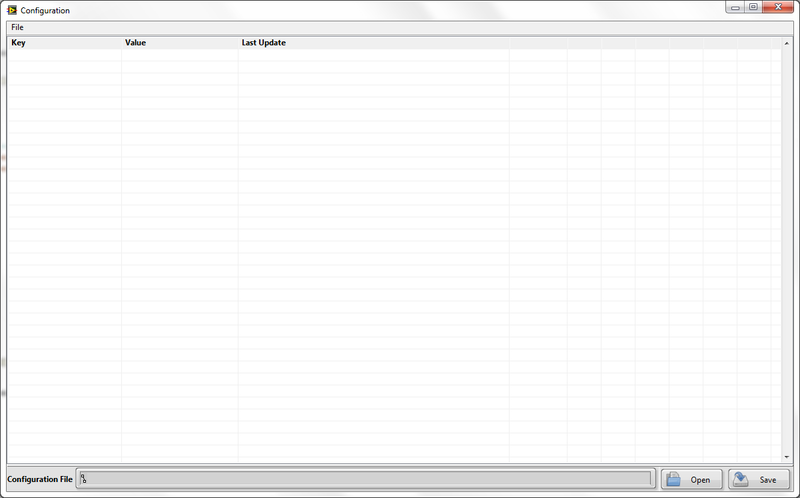 I drop a multicolumn listbox down in my largest pane, fit it to the pane, and set up my columns exactly as I want them. Looks good so far – I’ve followed all of the rules about making my UI resize, so let’s maximize this window and watch the resizing glory. Not quite what I had in mind. I only need 3 columns, now I have 10. Your natural LabVIEW instinct will tell you start wading through the various property node options but unfortunately you won’t find a quick fix here. This requires code. When creating complex applications, you will quickly find that the items you want to scale easily, rarely cooperate. In my previous post, I mentioned a few items that require a little more effort and some code to make them work. In this post, I will only be focusing on Multicolumn listboxes but will be covering XControls and Subpanels in the future. I want the columns to grow proportionally and distribute across the screen. I want the columns to hold their width, but have my final column extend to infinity to reduce the amount of clutter. To capture a screen resize event, we can use the event structure and the event for “Panel Resize”. The three properties we can make use of in this event are; VIRef, OldBnds and NewBnds corresponding to the VI reference, the previous screen size, and the new screen size respectively. To complete the process, we need to create a code module to do some multicolumn listbox resizing. The downside to this method is that data becomes sparse on a large screen resolution. For multicolumn listboxes, which do not occupy the entire screen, proportional distribution is the ideal method. For large listboxes that occupy the entire screen, we may be better off using last column only growth to maintain the look and feel of the application. This is another common method for resizing, where only the final column grows. This allows you to maintain the defined column layout, while reducing the clutter introduced by the extra columns typically generated by growing the window. This method is nice for listboxes which occupy the entire screen. It maintains your layout and does not space data out or alter the appearance of the application.This is all great, but how is it done? Let’s take a look. In order to make this function reusable for many listboxes, we will create a generic subVI. This subVI will be dropped into our event structure for screen resize events. 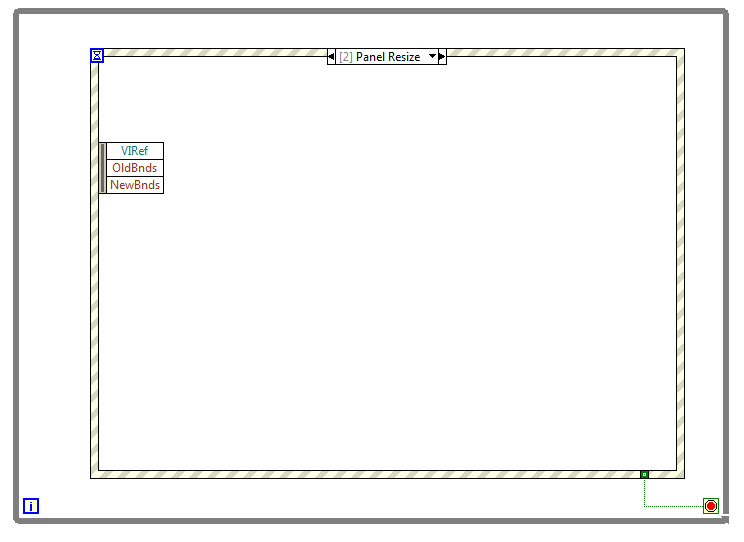 The code accepts a VI reference in order to Defer Panel updates; a listbox reference; the old panel size; the new panel size; and a resizing mode. Determine how many pixels the screen has grown by. Determine if the new bounds are different from the old bounds, if not don’t do anything. 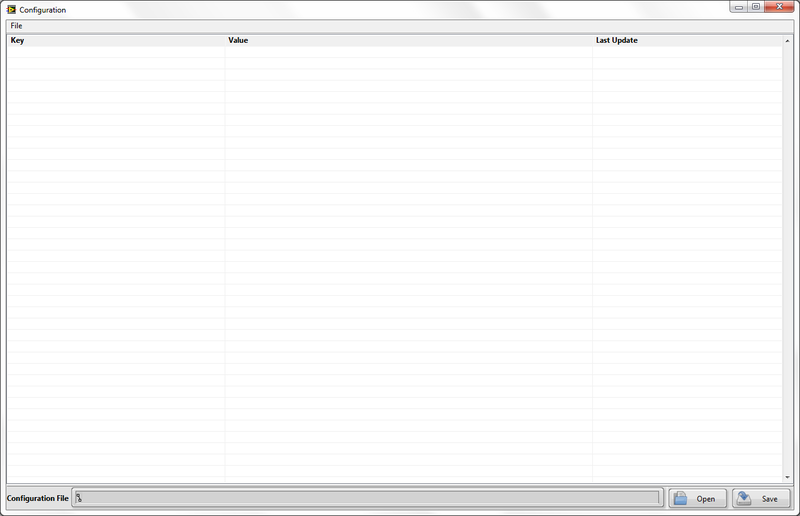 Defer Panel Updates so that the columns resizing happens faster. Count the number of columns and filter blanks. Determine the width of each column. Find the original proportion of the column in relation to the previous screen size. Adjust each column width proportion multiplied by the new screen size. Turn off Defer Panel Updates. Determine the width of the last column. Find the original proportion of the last column in relation to the previous screen size. Adjust the last column width proportion multiplied by the new screen size. These are two simple methods for resizing multicolumn listboxes. You could always adapt your own methods for more complex resizing, such as making specific columns grow and others remain fixed. 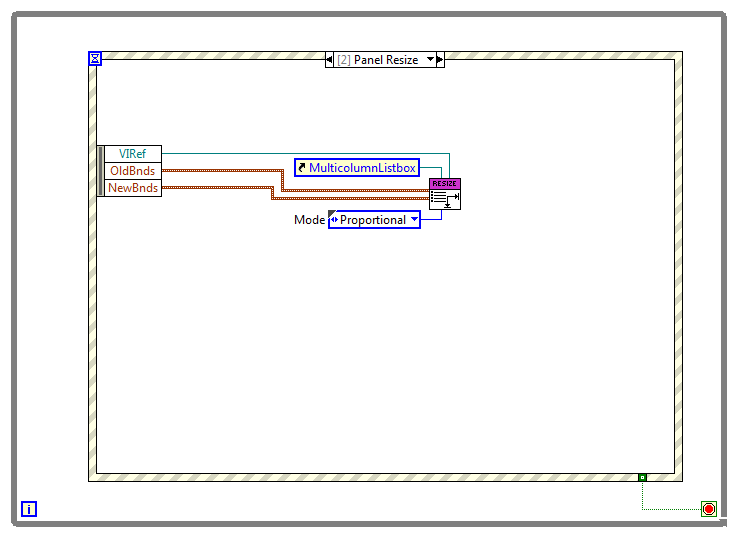 Using my last post "Resizable UI’s in LabVIEW" and the code presented in this post, more complex resizable user interfaces are now possible. In the future, I will give instructions on creating resizable subpanels and XControls which takes resizing all the way to complex architectures and reusable plugins. Lately I've been tasked with creating a new test control solution, and one of my biggest concerns has been how to construct my GUI to make it as easy as possible for users. GUIs are a bit new for me, most of my work before has not been used by outside customers. That said, your posts have been extremely helpful! Being able to resize is very important for a variety of reasons. Keep up the good work. I await your post and/or suggestions on resizing subpanels... subpanels are something I use fairly consistently, but I have no idea how to resize them properly at runtime. The VI can't find Mode.ctl when I load it in LV2011 SP1. Can you share that typedef? Edit Never mind, I just disconnected it and made my own. This looks terrific. Could I please get the .vi and .ctl in LV2010? Why not just add the difference between the new and old bound's widths to the last (or specific) column's width?